The result of a joint study involving SaabScania of Sweden and Fairchild in the USA, the Saab SF340 was launched in 1980 and first flew in 1983. Accomodating 33 passengers per flight, one of the most in the class, the Saab SF340 is also equipped with an impressive minimum runway requirement. 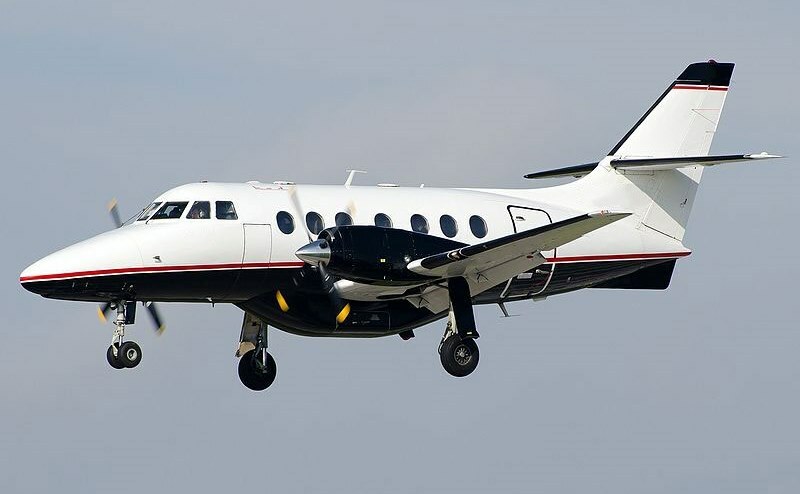 The Saab 340 was developed as a partnership between Saab AB and Fairchild Aircraft. 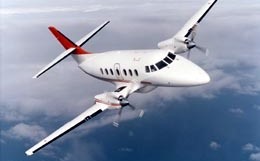 The aircraft was in production from 1983 to 1999 and 459 Saab 340 aircraft were build during this time. There were several variants of the Saab 340 that were build during its production years. The Saab 340A was intended to be used as a 30-37 seat commuter aircraft. The Saab 340B improved upon the design of the 340A and offered more powerful engines. The Saab 340B+ cabin features such as improved cabin noise cancelling and extended wingtips improve performance. Currently there are 413 Saab 340's in service today with over 61 operators world wide. The Saab 340 has impressive performance credentials. The aircraft has the ability to operate above most of the in-climate weather with its service ceiling of 25,000 feet. Similar to other turboprop commuter airliners of its class the Saab 340 has a range of 1035 miles, and a top speed of 324 miles per hour. 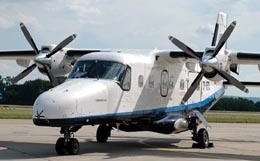 For more information about chartering, leasing or buying a Saab SF-340 please contact us by calling +44-20-3874-8091 or send us an email here.